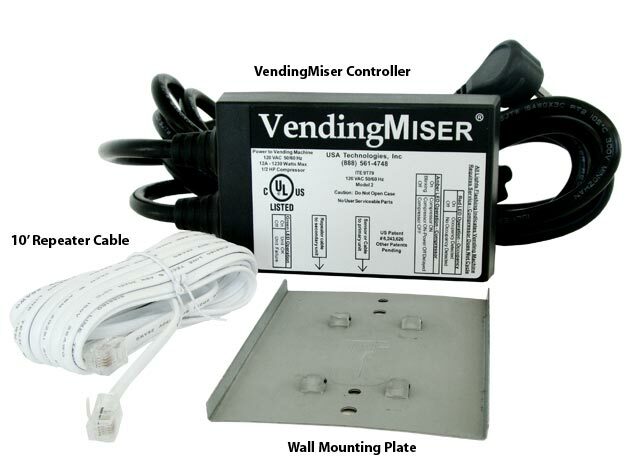 VendingMiser VM151 Controller with internal Sensor Repeater. Wall mount for indoor use. 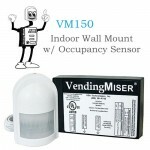 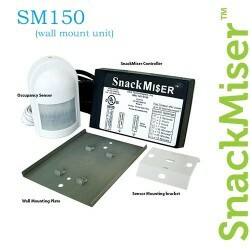 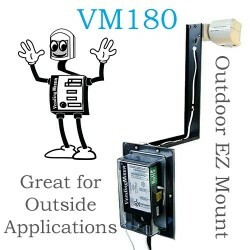 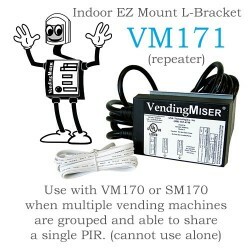 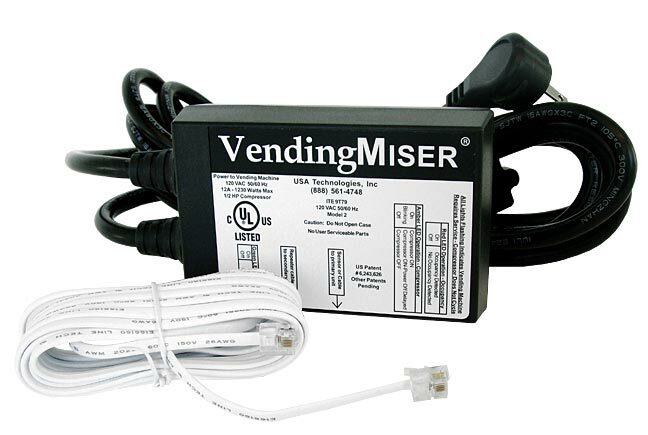 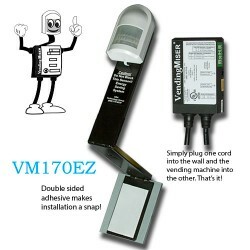 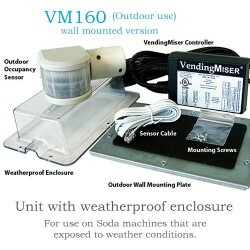 Use as secondary unit with a VendingMiser VM150. 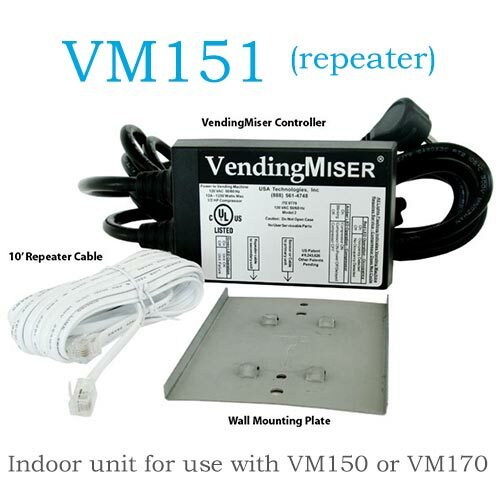 Includes a 10′ repeater cable to connect to a VM150. 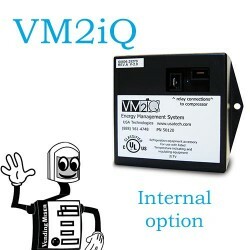 Up to three VM151 units can be connected to a VM150 for a total of four units controlled by one sensor.